If you answered ‘yes’ to any of these questions, apply for this exciting and innovative 5 day ideation bootcamp! This 5 day Bootcamp is about finding out if entrepreneurship is for you, unpacking your ideas, exploring the alignment of your ideas to national priorities, learning how to assess market potential, understanding the funding and partnership landscape that will be important to take your ideas forward, networking with entrepreneurs in this space and practicing your pitching skills in a Dragons Den simulation session. PLEASE NOTE* This is the Second Round of Ideation Training in 2017, and your last chance to benefit from this programme. Available to attend a Ideation Bootcamp in Gauteng between 28 August to the 1 September 2017. NOTE: Training and accommodation costs will be covered for successful applicants. You are required to make your own travel arrangements to the Bootcamps. To apply, fill in the application form here. The closing date is 27 June 2017, midnight. Please take time to fill this in carefully, as this is your opportunity to sell yourself and your concept. Please don’t hesitate to contact us should you have any enquiries no 011 447 5112 or imvelisi@gmail.com. If you would like to give back and offer your advice and guidance to a young budding enviropreneur? Fill in the survey at the link below. We warmly call on our networks to share your experience and insight by becoming a mentor to an aspiring Enviropreneur. · Our mentorship requirements dates are for 12 weeks each, from 12 June 2017 to 8 September 2017 for intake 1; and from 4 September to 24 November 2017 for intake 2. The minimum requirement would be a commitment of 2 to 4 hours a month of your time over a 12 week period. We welcome all applications, but preference is given to those with practical entrepreneurial experience and / or at least 5 years’ experience in the water, waste or biodiversity sectors. 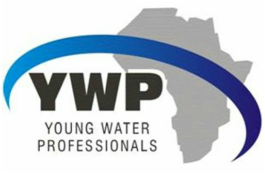 GreenMatter and the Young Water Professionals (a division of the Water Institute of Southern Africa) manage the Imvelisi Enviropreneur Programme. This DST funded training programme is an initiative that supports young people interested in running water and biodiversity related businesses, through the creation of an early ideation training programme that enables participants to develop their business idea, understand their market, conceptualize a business plan and refine their pitching skills. We support participants to move themselves to the next step – by applying for incubation support, registering a business or by helping them to secure funding for a business start-up. If you are interested in sharing your experience in one or more of the above aspects, please apply to become an Imvelisi mentor HERE. Download the Business Opportunity Guide for Enviropreneurs here. Click here to apply for the Imvelisi Ideation bootcamp.